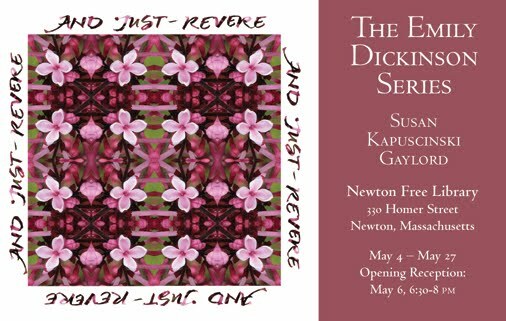 We install the Emily Dickinson Series at the Newton Free Library in Newton, MA next Monday. Everything is framed and boxed and ready to go. 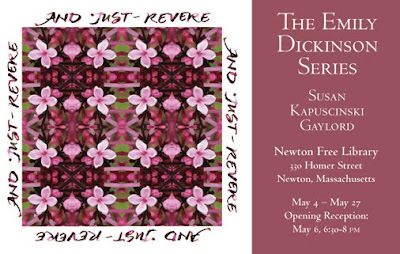 We'll be hanging the pieces in groups of four (with two groups of two) and my friend Nancy Butler and daughter Kendra helped me decide on the groupings this weekend. I've also created a page on my website where you can view the series online.